Over the last few weeks, the Yankees have really picked things up, winning six in a row and 13 out of 17. That surge in play has come, coincidentally, at about the same time as new closer Aroldis Chapman’s return form a 30-day suspension following domestic abuse allegations this offseason. 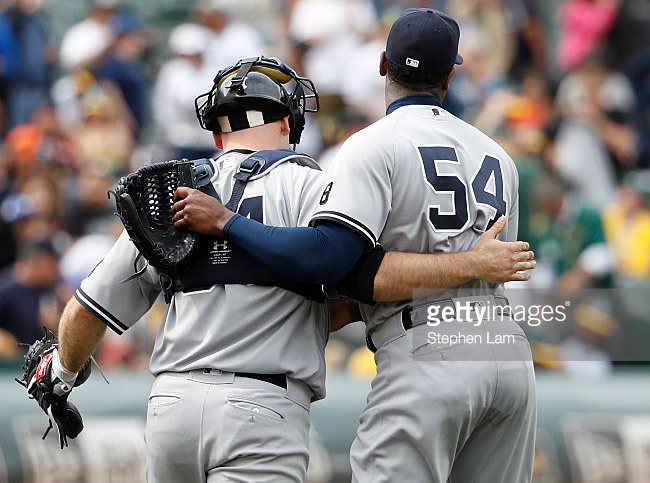 I’m not saying Chapman’s the reason the Yankees are winning, because he wouldn’t typically come in unless they are, but there might be something to be said for the confidence boost locking down the last three innings of a game gives the guys who are supposed to lock down the first six innings of said games.